Faye Valentine’s character in Cowboy Bebop is extremely complex and well-thought out. Her parents were killed in a tragic spacecraft accident when she was younger, and since they could not treat her injuries at the time, she was cryogenically frozen until medicine had advanced enough to heal her. Her records and identity were erased during the Gate incident, and after 54 years, she awakens, finding herself healed but in cripping debt. Valentine’s character is particularly well-developed; she’s funny, she has a fascinating backstory, and she is a lot more vulnerable than she admits. Studio Ghibli’s Sophie Hatter is one of the most interesting, endearing and likeable female characters to ever have appeared in an anime. This reserved and anxious young lady features as the beginning of the film, being the first-born daughter in a family that has condemned her to a mundane life of taking care of their business affairs. After the Witch of the Waste transforms her into an old woman, she proves her intelligence and level-headedness as she accompanies Howl on his travels. Her kind, generous nature and strong morals always shine through, and she is an extremely relatable protagonist who awakens her unique passions and abilities by stepping outside of her comfort zone. 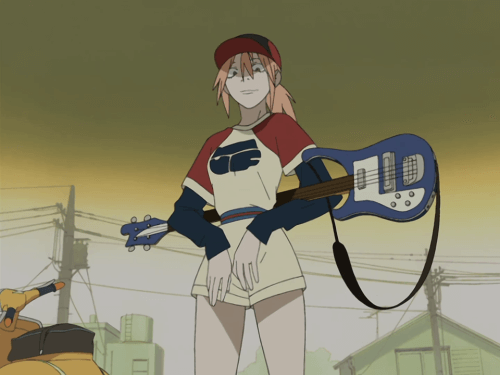 Haruko is an extra-terrestrial private investigator for the Galactic Space Police Brotherhood in the 2003 anime FLCL. She arrives on Earth in search of the space pirate Atomsk, and works as a maid for a young man called Naota and his family. Her character is completely eccentric and very unpredictable, and almost nothing she does makes any sense. In fact, her random nature could probably best be compared to the RNG software used in sports betting NZ! She also has anti-hero tendencies to counteract her protagonistic nature, and is very manipulative of Naota although she means well. Regardless, her antics are definitely a show-stealer. This awkward, clumsy and adorable leading character in Samurai Champloo is just 15 years old, but is still smart enough to trick to men into protecting her on her travels to find the mysterious Sunflower Samurai. Later, it’s revealed (spoiler alert!) that the Samurai is actually Fuu’s estranged father. Fuu, Mugen and Jin get up to plenty of mischievous antics along the way, and alongside their pet flying squirrel Momo, eventually end up becoming great friends. 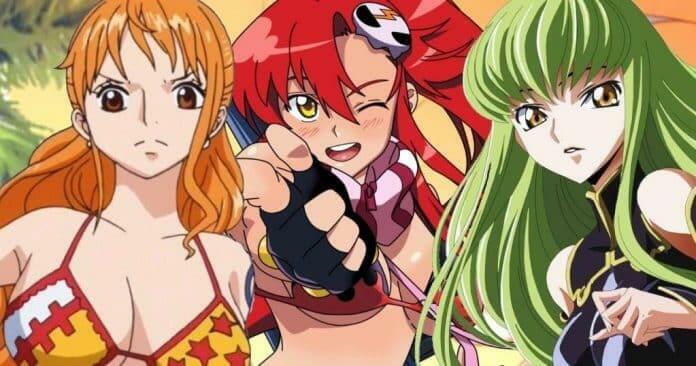 Nana is a manga/anime series about two very different young women (both named Nana) who live together as roommates. Both are fascinating characters, but Nana Osaki steals the show. She’s the illegitimate daughter of a mother who abandoned her in her abusive gran’s care, but as she grows up, she becomes a rebellious punk rock fan, eventually becoming the lead singer of the Black Stones. Despite suffering relationship issues, she refuses to abandon the career she loves for a man, and is an entertaining, caring and devoted friend despite her intimidating looks.